The elements that make the Canadian Rockies a year round dream destination converge in perfect harmony in Banff National Park. Established after railway workers stumbled onto a thermal hot spring, Banff became Canada’s first national park in 1885 and today is part of a UNESCO World Heritage Site. Explore more than 1,600 km (1,000 mi) of maintained trails on foot, by bicycle or on horseback. Come back in winter and ski some of the finest powder anywhere. The alpine towns of Banff and Lake Louise have all the amenities and everything you need to stay and explore this magical place. It’s a brisk, cloudy morning in February in a remote valley on the eastern edge of Banff National Park. Five modified shipping containers sit on the ground, vibrating. 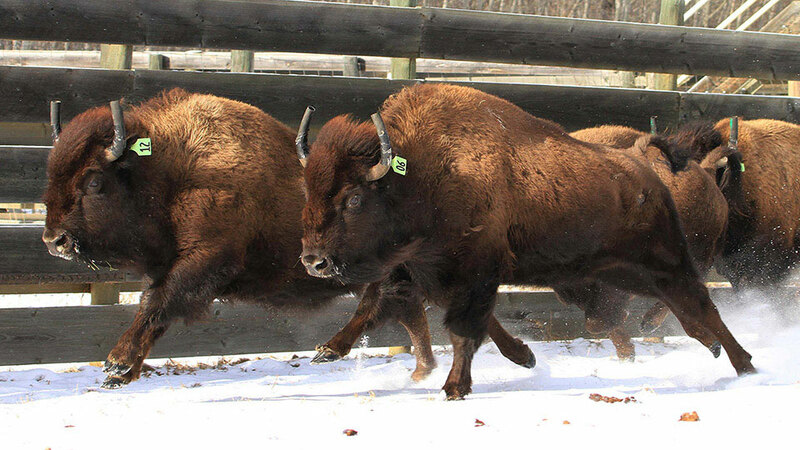 Inside are groups of plains bison—three or four to a container, not quite shoulder to shoulder, 16 animals in all. The bison each have a numbered tag attached to one ear, a special collar around their necks, and lengths of rubber hose duct-taped to their horns to protect one another from accidental gougings. Red Earth Spa is a full service spa with six treatment rooms. The Spa also features an esthetics room with two manicure stations and two pedicure chairs. Spa clients also have full access to the Hotel’s hot pool, steam room and exercise room. The spa has a number of areas for clients to relax before, in-between or after a treatment. Come join us at Banff’s only full service Spa on Banff Avenue. Jump on an inflatable snow tube and hold on tight as you slide, spin and speed across the snow at our popular Tube Park. Located just five minutes from the town of Banff, Mt. Norquay’s Tube Park offers fresh mountain air, legendary views and an easy adrenaline rush. With 8 lanes of high-speed fun, our Tube Park is the largest in Alberta. We supply the tubes, and our purpose-built magic carpet towing system will pull you to the top of our specially groomed tubing lanes, so there’s no need to walk uphill after each ride. Tubing is suitable for all ages, including children aged 4 and over but must be a minimum of 42 inches tall. Our Snow Tube Park also includes a small sliding area, and a kids’ play area. This season, our Snow Tube Park opens on Fridays and Saturdays starting from January 2019. The Rattle Snake Tube Lane will be open Thursday through Sunday 11 am to 4pm. Although Monod Sports has become a diversified outdoor sporting goods store based in Banff National Park (with a retail store in Banff and online store), every major theme can be traced back to the family’s history of skiing, mountaineering and love of the outdoors. John Monod, founder of Monod Sports, never came to Canada from Switzerland with the intention of being a retailer. He was an adventurer, a mountaineer and a young man looking for a new start in a new country. Above all else, Johnny Monod was a skier. The Moose Hotel and Suites is a brand new hotel in Banff. The design of the Moose is Mountain elegance with warm, rich, natural materials. Amenities include 2 roof top hotpools, swimming pool, gym, The Meadow Spa and Pools and Pacini restaurant. Located a 1 minute walk from the heart of downtown Banff, it features 174 air conditioned guests rooms, with a combination of one- and two-bedroom Suites and hotel rooms. Avoid the crowds and enjoy more time to soak up the beauty of these two iconic lakes on this evening guided tour with Discover Banff Tours. Includes an early dinner at Baker Creek Bistro. Save 20% by using coupon code ONLINE2SAVE and booking online seven days or more in advance. Experience the unspoiled wilderness of Banff on horseback on this two-day overnight trip with Banff Trail Riders. Ride along the Bow River to cozy Sundance Lodge, secluded but just 16 kilometres (10 miles) from town, to stay in backcountry luxury. Departs Saturdays, includes accommodation and a fully catered menu. This offer includes 11 nights of accommodation, along with a Rocky Mountaineer rail tour in SilverLeaf Service, as well as a VIA Rail from Jasper to Prince Rupert in touring class. In addition enjoy a variety of sightseeing opportunities and attractions in both British Columbia and Alberta. Restrictions apply. Backroads leads a number of biking, hiking and multi-adventure tours based around Banff and surrounding areas. We've been in business since 1979 and guest satisfaction is our #1 priority. Do more. Know more. See more in Banff! Walk beautiful Banff year-round in the company of a local guide. The Banff Walk is a great introduction to this unique destination. Daily, scheduled walking tours and private tours offer an authentic, accessible Banff experience. Local guides reveal spectacular scenery and local secrets with personalized answers. 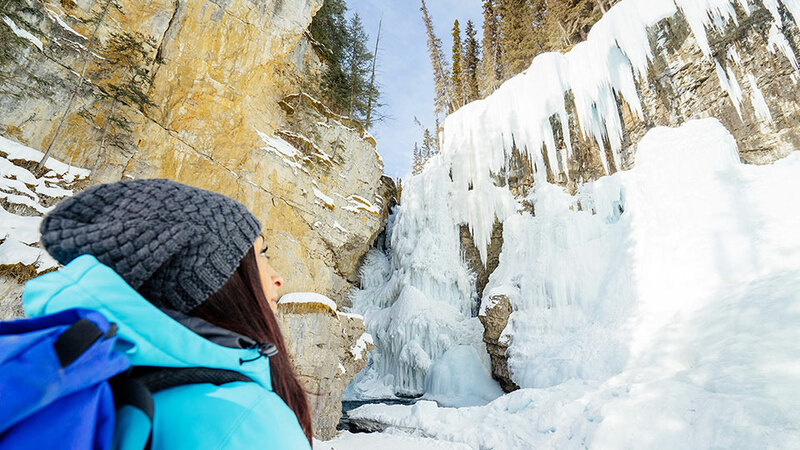 Walk a beautiful route through the town of Banff, including hotspots for must-have photos. Comfortable, easy pace and small, intimate groups. Tours last just over an hour and depart on foot from the Banff Walk tour desk at 202 Bear Street in downtown Banff. Connect to nature and to Canada’s Rocky Mountain heritage … one step at a time. Make the Banff Walk your first step in Banff. Join Powder Guides on the famous Wapta Traverse, the ultimate hut to hut ski tour in the Canadian Rockies. The Wapta Icefields spread for many miles north along the continental divide from the Lake Louise area. With vast glaciers, easy peaks and a well placed hut system, the area is perfect for a great ski traverse. Join them today. See this double-bill of talented artists as they play under sunny skies in Banff Centre's outdoor Shaw Amphitheatre. Nunavut’s first ever Juno Award-winning Inuk singer/songwriter, Susan calls herself the accidental artist. Susan Aglukark grew up in Arviat, Nunavut and with “no musical orthodoxy” to draw from, Susan’s early years were spent learning as she was headlining. 25 Years and 7 albums later she is one of Canada’s most treasured artists; she has won 3 JUNO awards, and most recently the Governor Generals Lifetime Artistic Achievement Award. Leela Gilday has toured festivals and concert halls with her four-piece band through every province and territory in Canada. She has played in the United States, Greenland, Denmark and New Zealand and this year embarked on an ambitious European tour. Her live shows are where she connects with fans who have followed her on a 20-year career and where new fans are born. She reaches into their hearts and feels the energy of every person in front of her as she guides them on a journey through song and experience. She believes music has an inexplicable effect on people. It is a place where she can share light and dark and the most vulnerable moments, with a clarity and genuine purpose that reassures her listeners through every word. She is a storyteller, and through this, reflects the world onto itself. Two time Grammy-award winner, John Prine, is a singer songwriter who, from his eponymously titled first LP release in 1971, has continued to write and perform songs that have become central to our North-American musical heritage. With his career spanning more than 40 years, Prine continues to perform at sold out shows all over the US, Canada, and Europe. Among the many awards and accolades John has received in recent times include is his 2003 induction into the Nashville Songwriters Hall of Fame, an Americana Lifetime Achievement Award for songwriting, and being honored at the Library of Congress by US Poet Laureate Ted Kooser. Prine has become for many, not just a well loved and appreciated songwriter, but a bonafide North-American treasure.